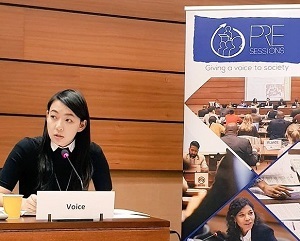 Ahead of the Universal Periodic Review (UPR) of Vietnam’s human rights record at the United Nations (UN) Human Rights Council on 22 January 2019, CIVICUS speaks to Anna Nguyen from VOICE, a civil society organisation that promotes civil society development and advocates for human rights, including refugee protection, and the rule of law in Vietnam. Founded in 2007, VOICE’s mission is to empower individuals to build a strong, independent and vibrant civil society. A Vietnamese-Australian lawyer, Anna Nguyen is VOICE’s Director of Programs. She oversees a training programme for Vietnamese activists in Southeast Asia, a refugee resettlement programme in Thailand and advocacy efforts, including at the UN, to raise awareness of the human rights situation in Vietnam. Along with VOICE, Civil Society Forum, Human Rights Foundation and VOICE Vietnam, CIVICUS made a UPR submission on to the Human Rights Council in July 2018. What is the current situation for human rights and civil society in Vietnam? The human rights situation in Vietnam is dire. While the freedoms of association, peaceful assembly and expression are supposedly protected by the constitution, they are not respected in practice. In 2018, 88 human rights defenders (HRDs) were arrested, and at least 194 remain in prison for peacefully exercising their civil and political rights. This is a staggering number and surely shows that the government of Vietnam is doing as much as it can to stifle political dissent. Civil society in Vietnam has been steadily growing since mass protests over territorial disputes with China were held in Hanoi and Saigon in 2011, and thanks to the increasing use of social media such as Facebook and YouTube. There are more independent civil society groups now than there were seven years ago, and more people are willing to speak up on Facebook and attend protests to raise awareness of atrocities committed by the government, as well as attend training programmes relating to human rights. On the other hand, the Vietnamese government has used many tactics to stifle the development of an independent civil society movement, including the brutal suppression of protests, the physical harassment and imprisonment of HRDs and its refusal to pass a law on association. How is the government persecuting online and offline dissent? Peaceful protests are subject to brutal suppression, and their participants are victims of harassment and continuous surveillance. In June 2018, following a mass protest opposing proposed cybersecurity and Special Economic Zones legislation, the authorities cracked down heavily on peaceful protesters by using teargas and excessive force to prevent and punish participation, resulting in a range of human rights violations, including torture and other cruel, inhumane and degrading treatment. Peaceful dissidents are often harassed, physically assaulted, criminalised with vague national security laws and imprisoned. In 2018, nine of the many peaceful activists imprisoned received the longest prison terms available, ranging from 12 to 20 years. Bloggers in Vietnam who have been at the forefront of exposing abuses by the state, including human rights violations, corruption, land grabbing and environmental issues have faced intimidation, threats and imprisonment. In July 2017, Tran Thi Nga, a blogger and labour rights activist was convicted of “anti-state propaganda” and sentenced to 9 years’ imprisonment for sharing articles and videos online highlighting ongoing rights abuses tied to environmental crises and political corruption. A draconian Cybersecurity Law, inspired by China’s, entered into force on 1 January 2019. This law tightens the government’s control of information and its ability to silence its online critics. Among other things, it allows the government to demand the removal, within 24 hours, of any posts that are deemed critical. Why is the UPR process important for civil society? The UPR process is open to all actors, not just states, which is why it is a great opportunity for civil society, and especially unregistered civil society groups, to get involved in the process by bringing in a perspective that is different from that of governments. It gives civil society an opportunity to highlight a state’s human rights record, as well as to provide recommendations to improve it. Has Vietnamese civil society been able to participate in the UPR process? Has it encountered any challenges in doing so? While the Vietnamese government held national consultations during the UPR process, it did not include independent and unregistered groups such as VOICE. This has been a challenge, because we haven’t had an open dialogue with the state. In addition, reprisals are a big factor. Some HRDs who have been involved in the UPR process have faced difficulties upon returning home to Vietnam, including the confiscation of their passports and continuous surveillance and harassment. Reprisals are just another tactic that the government uses to stifle the growth of a civil society movement and punish civil society for peacefully raising its voice about the state’s failure to meet its human rights obligations. What are some of civil society’s key recommendation to states participating in the upcoming review of Vietnam at the Human Rights Council? Civil society is calling on states to urge Vietnam’s government to amend the Penal Code to ensure that ambiguous provisions relating to national security – notably articles 79 (109), 87 (116), 88 (117), 89 (118), 91 (121), 257 (330) and 258 (331) – are clearly defined or removed so they cannot be applied in an arbitrary manner to stifle legitimate and peaceful dissent and the freedom of expression. We also want states to recommend that the government amend or repeal legislation specifically related to the freedoms of expression and information, and related to privacy and surveillance, in line with international standards such as articles 17, 19 and 20 of the International Covenant on Civil and Political Rights. We are particularly concerned about the Press Law, the Law on Publications and the Cybersecurity Law, as well as about Decree No. 72/2013/ND-CP on the management of internet services and information and Decree No.174/2013/ND-CP, which imposes penalties for the violation of post, telecommunication, information technology and radio regulations. State representatives at the Human Rights Council should also call on Vietnam to ensure that civil society activists, HRDs, journalists and bloggers are provided with a safe and secure environment in which to carry out their work. They should also conduct impartial, thorough and effective investigations into all cases of attacks on and harassment and intimidation against them and bring the perpetrators to justice. Finally, there should be recommendations to ensure the independent and effective investigation of and implementation of remedy for arbitrary detention and physical or mental abuse by the state, with special attention to the protection of HRDs. Specifically, the government of Vietnam should be urged to release, unconditionally and immediately, all HRDs, including journalists and bloggers, detained for exercising their fundamental rights to the freedoms of association, peaceful assembly and expression, and drop all charges against them. What would you like to see come out of the UPR review? We hope that UN member states in the Human Rights Council will listen to civil society and our recommendations, and that a diverse range of civil society’s human rights concerns, including the rights of women, young people and LGBTQI people, and civil and political rights, will be addressed by strong recommendations – by recommendations that are specific, measurable, achievable, realistic and time-bound. This will allow civil society groups and other stakeholders to monitor easily whether the government of Vietnam follows through with their implementation. We would also like Vietnam to have more dialogue with unregistered and independent groups, to ensure there is a balanced representation of civil society in national dialogues for future reviews. This will strengthen the impact of the UPR process and improve the integrity of the mechanism. What are you plans following the UPR review, and what support is needed from the international community and international civil society? VOICE will raise awareness of the commitments made by Vietnam through translation and dissemination among the public, media, parliamentarians, embassies and civil society. We will make sure to follow up on the recommendations made to Vietnam to ensure they are being followed through by holding regular stakeholder meetings, including with other civil society groups and embassies in Hanoi. We will continue to update the states that have made specific recommendations during advocacy meetings, to let them know whether progress has been made and urge them to put some additional pressure if it has not. We would like the international community, including international civil society organisations, to keep up the pressure so the government of Vietnam follows through with the recommendations they have received, and to provide a platform for civil society groups and HRDs to raise awareness about the state’s progress or lack of progress in human rights. Source from CIVICUS. VIETNAM: ‘We hope UN member states will listen to civil society’ . On July 12, 2018, VOICE in conjunction with CIVICUS, Human Rights Foundation, VOICE Vietnam, and the Civil Society Forum submitted contributions to the United Nations’ Human Rights Council’s Universal Periodic Review (UPR). This report draws attention to the human rights violations occurring in Vietnam with particular focus on civil society, freedoms of association, peaceful assembly and expression, and unwarranted restrictions on human rights defenders (HRDs) since its 2nd UPR examination in January 2014. The UPR is a unique process, which involves a periodic review of the human rights records of all 193 UN Member States. The UPR is a significant innovation of the Human Rights Council, which is based on equal treatment for all countries. It provides an opportunity for all States to declare what actions they have taken to improve the human rights situations in their countries and to overcome challenges to the enjoyment of human rights. The UPR also includes a sharing of best human rights practices around the globe. Currently, no other mechanism of this kind exists. During the last UPR cycle, the Government of Vietnam received 37 recommendations relating to civic space. Of these recommendations, 29 were accepted and eight were noted. An evaluation of a range of legal sources and human rights documentation addressed in subsequent sections of this submission demonstrates that the Government of Vietnam has partially implemented six recommendations relating to civil society space and not implemented the remaining 31. The government has persistently failed to address unwarranted restrictions on civic space since its last UPR examination and acute implementation gaps were found with regard to the rights to the freedoms of association, peaceful assembly and expression and the protection of HRDs and bloggers. The United Nations’ Human Rights Council is scheduled to review Vietnam’s human rights obligations on January 22, 2019. Haiy Le, October 9, 2017: When the human rights group, Vietnamese Overseas Initiative for Conscience Empowerment (VOICE), sent a delegation to the United Nations Human Rights Council in 2014, the delegation was made up of three men and all were citizens of Vietnam. This year, the trio is all female. “We did not purposely want to have a female delegation,” said Anna Nguyen, Director of Programs at VOICE. A more interesting point, she explained, are the different backgrounds — and continents — the three women come from. Anna is a lawyer born and raised in Australia. Joining her is Le Thi Minh Ha, the wife of blogger Nguyen Huu Vinh who was sentenced in March 2016 to five years in prison by the Vietnamese government for founding and operating a successful independent news blog. The third member is Dinh Thao, a Vietnamese citizen who left her career as a medical doctor to become an activist working out of VOICE’s headquarters in the Philippines and is now stationed in Belgium as the European Union Program Coordinator. As activists waging a long war against Vietnam’s authoritarian government, they are unbothered by the comments littered on the VOICE Facebook page calling them “dogs” and “liars” who should “die.” The group suspects the comments come from hacks paid by the Vietnamese government. In the spirit of free expression though, the malicious comments are free to stay. It’s the opposite of what Hanoi is doing. In 2017 alone, Vietnam’s one-party Communist government has detained or sentenced 16 activists under the country’s draconian penal code, and specifically Article 88, which makes it a crime to “propagate” against the government. Human Rights Watch has reported on the country’s long history limiting freedom of expression, which has sent more than 100 activists to prisons. The country’s repression has led to thousands of refugees seeking political freedoms and economic opportunities to live and work elsewhere under more democratic and transparent governance. VOICE was founded in 1997 as a legal aid office in the Philippines to help stateless Vietnamese refugees resettle in countries, including Australia, the U.S. and Canada. Since then, the nonprofit’s mission has branched out to include advocacy for human rights and the rule of law in Vietnam. Since joining VOICE in 2014, Anna’s work includes communicating with foreign governments and multilateral organizations, and persuading them to use their influence to put pressure on Vietnam. She also makes sure these foreign bodies hear from independent activists and civil society groups in Vietnam. “Many of these activists are banned from traveling and don’t have a platform, so it’s great that we can give them a voice,” she said. In 2014, a 23-member delegation from Hanoi met with the U.N. Human Rights Council for the Universal Periodic Review (UPR), a review process on the human rights records of all UN Member States. The Vietnamese government agreed to the implementation of some UPR recommendations and rejected others, notably the release of prisoners and the revision of vague national security laws that are used to suppress human rights. The goals of this year’s Mid-term UPR Advocacy Campaign are to follow up on the recommendations and to advocate for the prisoners, particularly Tran Huynh Duy Thuc, a technology entrepreneur and blogger who was sentenced to 16 years for “conducting activities aimed at overthrowing the people’s administration” on January 2010; Nguyen Ngoc Nhu Quynh, better known by her pen name, Mother Mushroom, is a blogger convicted of “anti state propaganda” on June 2017 and sentenced to ten years’ imprisonment; and Tran Thi Nga, a blogger sentenced to nine years’ imprisonment on July 2017 for “anti state propaganda” in her sharing of articles and videos highlighting abuses tied to environmental crises and political corruption. In the past couple of months, there has been a rise in the number of female activists targeted by the government. Mother Mushroom wrote that she was motivated to create a better future for her two children. The mid-term campaign, which runs from September 15 through October 10, has been in the planning stages since the last UPR. The delegation has organized a marathon of meetings with foreign bodies in Germany, Switzerland, Sweden, Norway, Belgium and the Czech Republic to give suggestions on how these groups can exert pressure on Hanoi. In a recent case that has made headlines for its Cold War style of abductions, a Vietnamese asylum seeker was snatched off the streets of Berlin in broad daylight on August 24 — one day before his asylum hearing — and whisked back to Vietnam on corruption charges. In a meeting with Germany’s Office of Foreign Affairs on September 15, VOICE raised concerns to Annette Knobloch, Deputy Head of Unit of South East Asia/Pacific. “We made them a number of suggestions and then a few days after our meeting, it was announced in the news that Germany had expelled another diplomat,” Anna said. As Vietnam’s biggest trading partner in the EU, Germany has influential leverage through its purse strings. There’s also Germany’s development aid to Vietnam, which in 2015 was $257 million distributed over two years. On top of the meetings with Germany and other foreign governments, the delegates have communicated with UN Special Rapporteur on human rights defender, Michel Forst, and CIVICUS, a group working to strengthen civil society. VOICE’s collaboration with CIVICUS, which has consultative status with the UN, gave VOICE the opportunity to present in front of the UN Human Rights Council on September 19. Thao said the presentation alone has made the 25-day campaign a successful one for her, in spite of the stressful logistics, the back-to-back meetings and the harassment from the Vietnamese government that she, her colleagues and family in Vietnam have received due to her activism. After the campaign ends, the delegates plan to follow up on the meetings and maintain the contacts they met. “It’s really easy to meet people but if there’s nothing done after that, there’s no point in meeting them,” Anna acknowledged. They will also start making plans for the 3rd UPR in January 2019, which will involve more people, workshops and a UN session dedicated to addressing Vietnam’s human rights situation.